Acting in New York City, guitarist and composer Ricardo Grilli is one of the most prominent voices of modern guitar, having received critical acclaim from renowned vehicles such as the New York Times, Downbeat, Jazz Times, All About Jazz, Jazz Podium (Germany), Jazz Life (Japan) and may others. He has performed with international musicians such as Chris Potter, Chris Cheek, Eric Harland, Will Vinson, John Escreet, EJ Strickland, Aaron Parks and Joe Martin among others. His most recent release "1954" features Aaron Parks, Joe Martin and Eric Harland. Ricardo also headlined at some of the most renowned jazz clubs in the world such as: The Blue Note, Iridium, Smalls, Scullers (Boston), Sidedoor (Connecticut), The Rex (Toronto), The A-Trane (Berlin), JazzB (Sao Paulo) among others. In 2013, he released his first CD, If On A Winter's Night, a Traveler edited by Steve Greenlee of the Jazz Times as his best record debut of 2013. 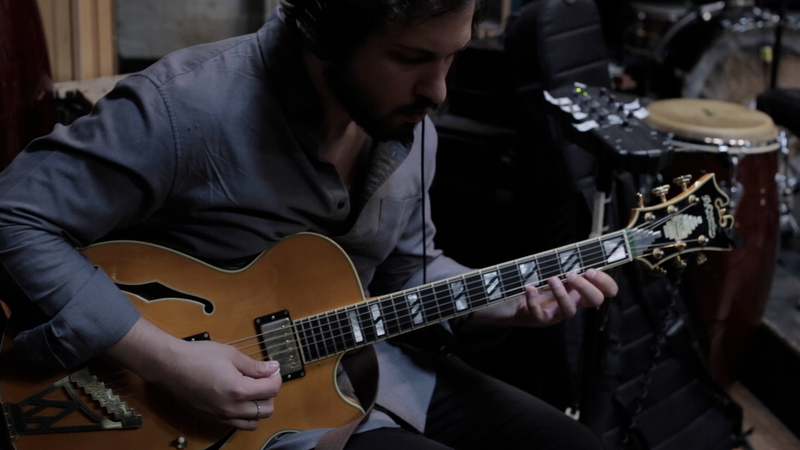 He holds a bachelor's degree in guitar with honors from Berklee College Of Music and a master's degree in Jazz Studies from New York University.